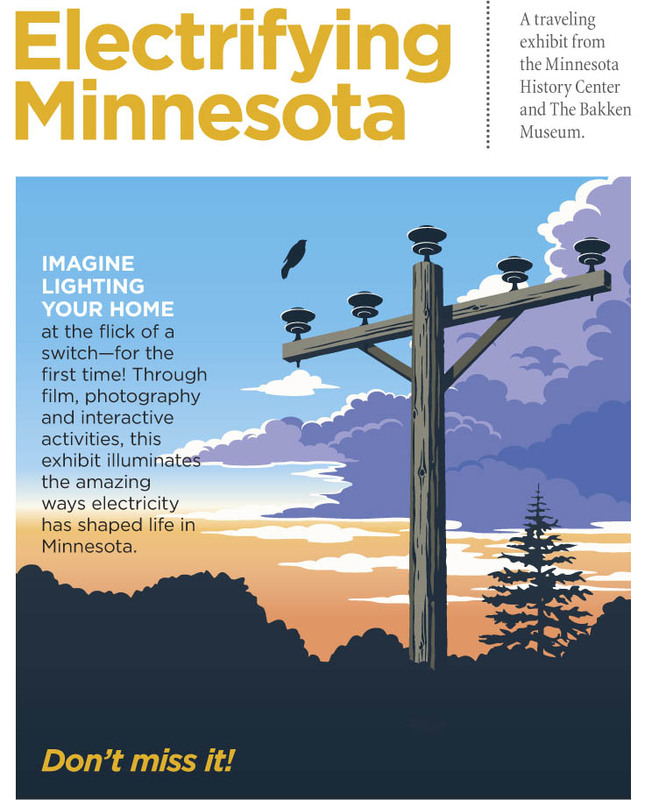 “Electrifying Minnesota,” a new traveling exhibit at the RiceCounty Historical Society will open on Thursday, December 13, 2018, and be free and open to the public that day. The exhibit illuminates the powerful ways electricity has transformed lives in Minnesota for well over100 years. Imagine what it was like, for the first time, to have electricity available at the flick of a switch. Discover what makes the miracle of generating electricity possible. 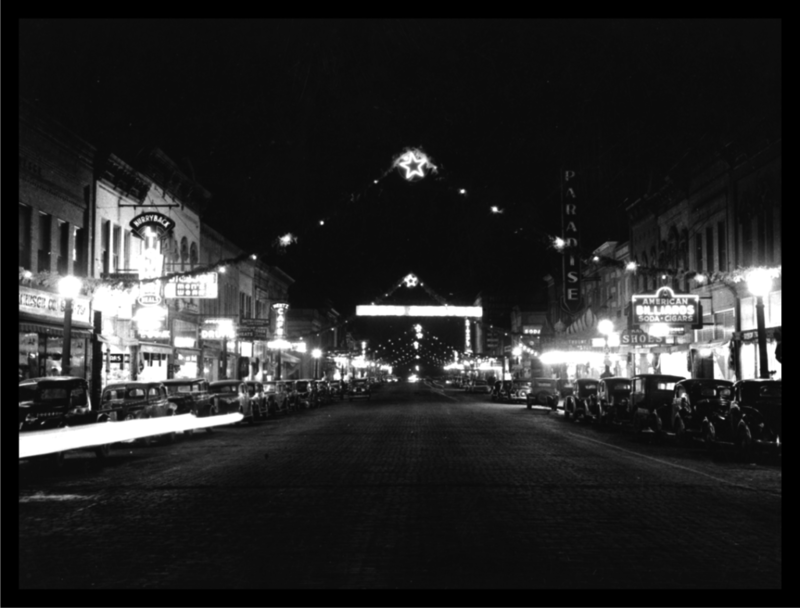 Learn what people thought about electricity in the late-19th and early-20th centuries and how we will generate it in years to come. Period silent films, photography and an interactive electromagnetic generator all reveal the power of electricity and how it shapes our lives as Minnesotans. The Minnesota Historical Society Traveling Exhibits Program has been made possible by the Arts and Cultural Heritage Fund through the vote of Minnesotans on November 4, 2008. The Minnesota History Center is part of the Minnesota Historical Society, a non-profit educational and cultural institution established in 1849. Its essence is to help illuminate the past as a way to shed light on the future. The Society collects, preserves, and tells the story of Minnesota’s past through museum exhibits, libraries and collections, historic sites, educational programs, and book publishing. The exhibit will remain open through early April 2019, during which regular admission rates will apply. For questions or more information, call the RCHS museum at 507-332-2121. 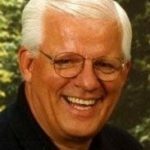 On Wednesday, December 12, 2018 beginning at 7 pm the Rice County Historical Society will celebrate our members and volunteers. Please join us as we celebrate the season-and our volunteers and members. We hope you can make time in your busy holiday schedule to stop by the museum to enjoy some refreshments and so we can thank you for your continued support. Volunteers and Members are the ones who “make it happen” at the Rice County Historical Society. Thank you to all who made it a great year! Those who join us will also get a chance to get a sneak peek look at our new traveling exhibit from the Minnesota Historical Society. Also, interested individuals in volunteering or becoming a member are invited too. Come and learn about the many different ways you can make a difference in helping us preserve history. This event is free for volunteers and members – both current and those interested in becoming volunteers and/or members. For more information about this event call (507)332-2121. A Joyeux Noël, please join the Rice County Historical Society for a French-Canadian Christmas Open House at the former home of Alexander and Mary Elizabeth Faribault, located at its original location at 12 NE 1st Ave. in Faribault. The historic home will be open to the public on Friday, November 30, 4-7 pm and Saturday, December 1, 10 am-3 pm. The house will be decorated with the French-Canadian holiday traditions of the Faribault family. The family celebrated the holidays in this home in the early 1850s. A traditional and unusual apple wreath will be displayed on the front porch. In the festively decorated parlor on the square Steinway piano, there will be a small decorated tree embellished with red ribbons and candles. A French Crèche, or nativity, will be displayed under the tree and include everyday people such as a baker, and a woodsman. 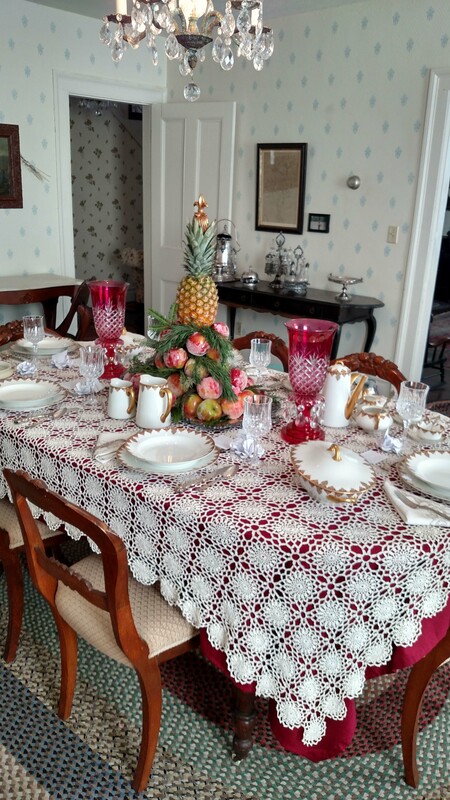 The dining room table will display a hand crocheted tablecloth set for Christmas dinner with a candied apple centerpiece made with apples donated by Trumps Orchard. Docents will give tours and answer questions about the home, as well as the life and times of the Faribault family. We also invite you to visit the upstairs portion of the house, to see Mary Elizabeth’s sewing room and the bedrooms. In the west end of the second floor is a museum with Faribault family artifacts as well as the Faribault Business exhibit. Many local businesses are featured in this exhibit, including Nutting Truck and Castor, Brand Peony Farm, The Olympia, and Ochs. For this special event, admission is free and open to the public! In honor of Veterans’ Day, we will unveil our newest exhibit case displays on WWI, WWII, Korean and Vietnam Wars. These exhibits were created by RCHS interns with the help of Rice County Veterans. The museum will be open from 10 to 1 to view this exhibit and the rest of the museum. 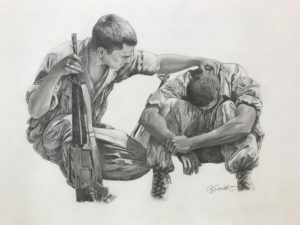 At 1 pm Artist and Historian Al Smith will present about what lead him to draw soldiers and how he captures the aspects of their experience in the face of war. For more information, please call: 507-332–2121.